Boing, boing, boing. It’s the sound beads make bouncing across the floor. It’s the sound of Teresa Sullivan counting pony beads as she demonstrates the techniques necessary to recreate her contemporary beadwork. Teresa is an amazing artist and we were very lucky to host her this weekend. It’s good to challenge yourself with something outside your comfort zone. Sports, public speaking, sky diving all of those would be well outside my comfort zone and I’m still not doing them. 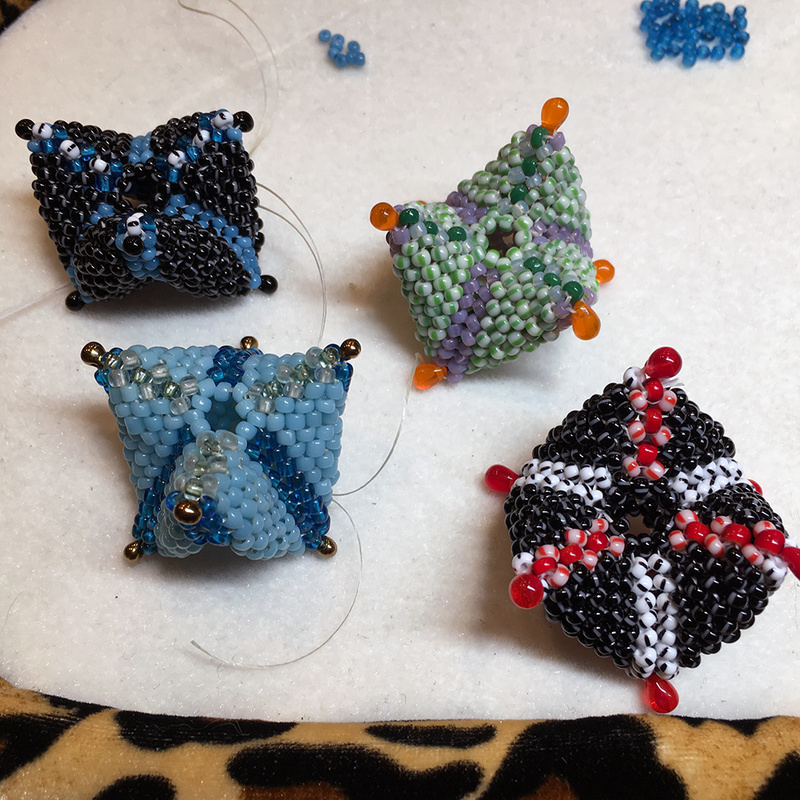 Beadwork is kind of outside my comfort zone. I love it and I can do the basics but I am far from proficient. It is a humbling experience. 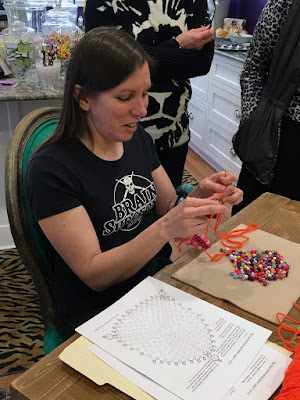 Saturday’s class involved learning to make zig zag beads. 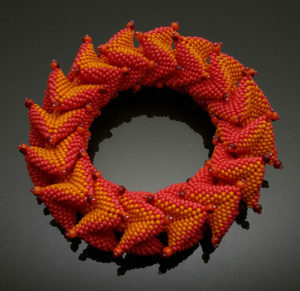 These are glorious beads that pinch and fold and stack into one another. 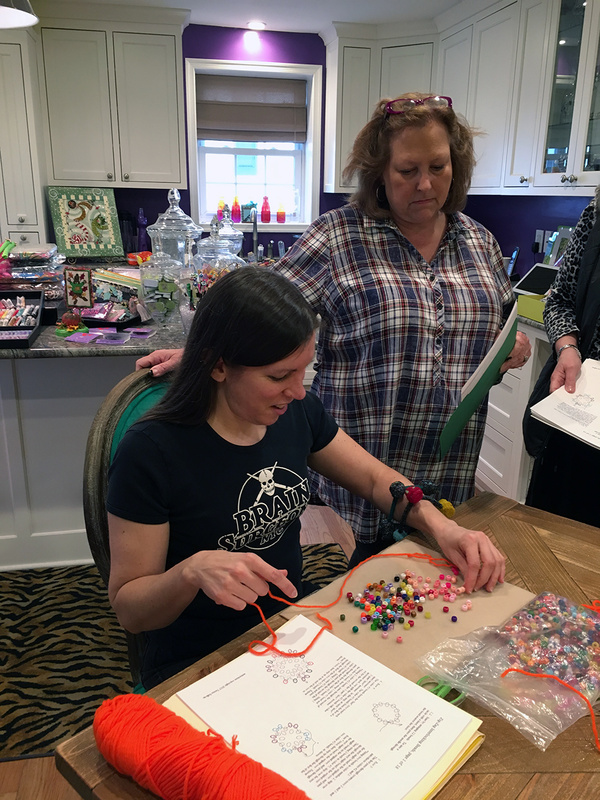 Teresa demonstrated on pony beads so that we could actually see what she was doing. 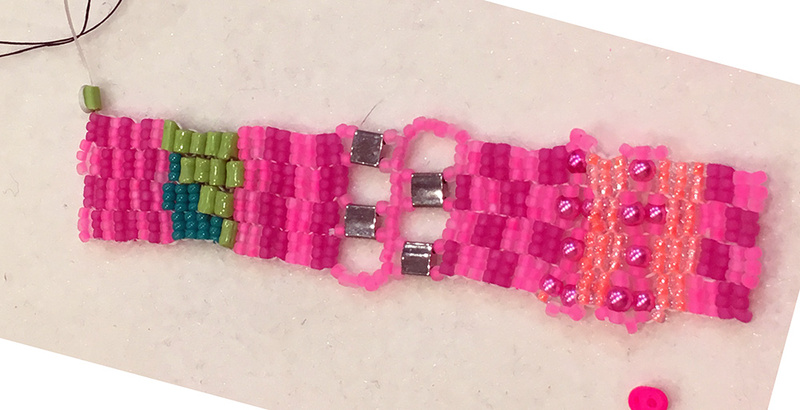 I’m honestly fascinated by beadwork at this scale. I love the sculptural quality of it. Some of us finished beads. They are a little wonky but its a start. Today was a little easier. Our first project was Klimt meets Kente. Another great demo so we knew what we were doing. This project is totally freeform! Yes, random! You know I loved that. Everything is legal in Treezeccastan so lots of fun beads could be used. 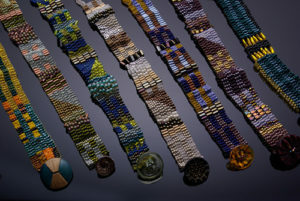 All sizes and shapes make for a very lively bracelet. My version is more Klimt meets Lilly (Pulitzer) 🙂 Super fun and fast. 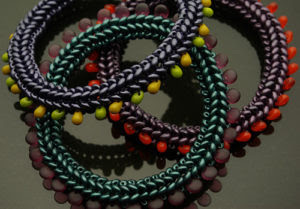 We also started bangles with dangles. 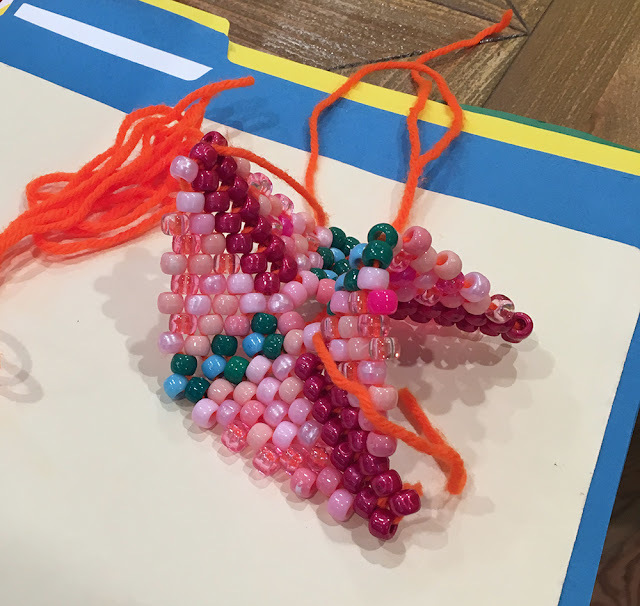 We used superduo beads and drops. 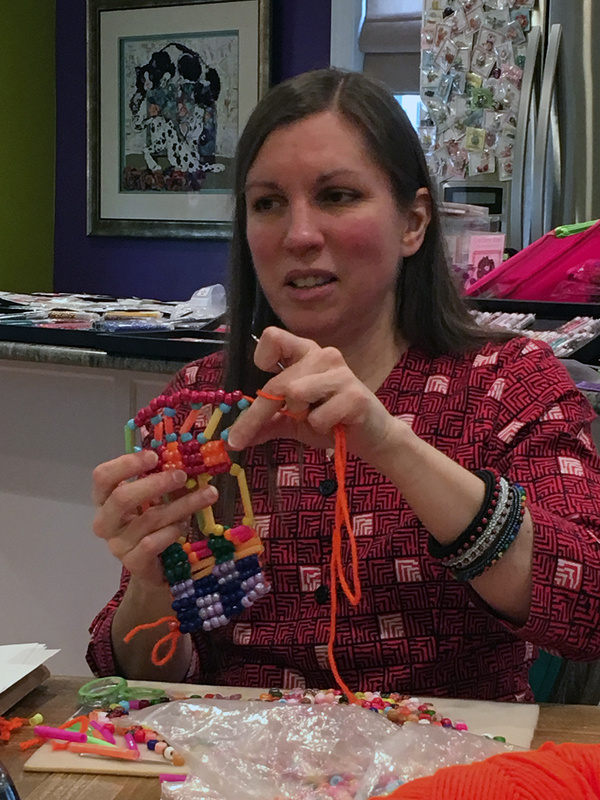 Different shapes of larger beads make for a quicker finish. Let’s not discuss that this quicker finish is taking me three starts. 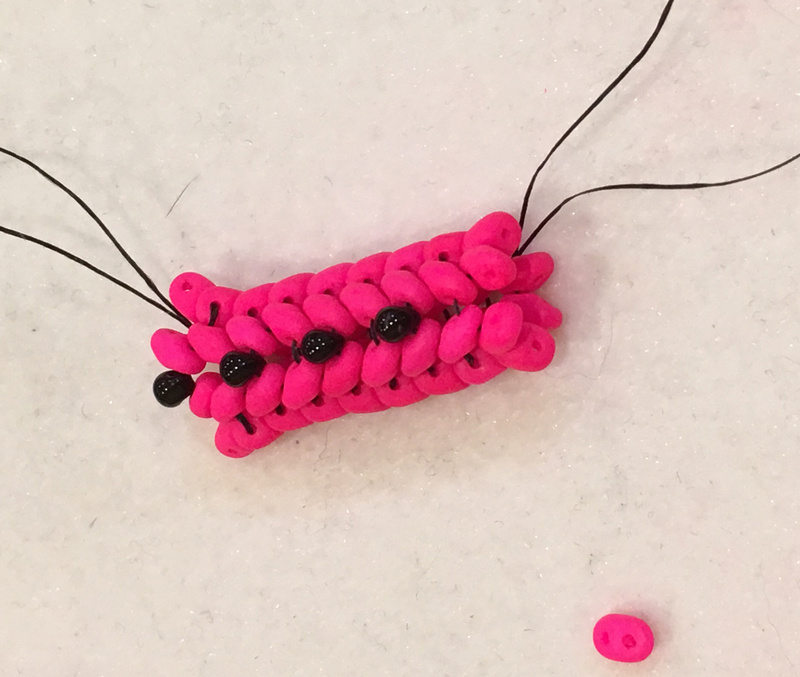 Again, this one is very fun and mine is pink! Are you surprised? There you have it. 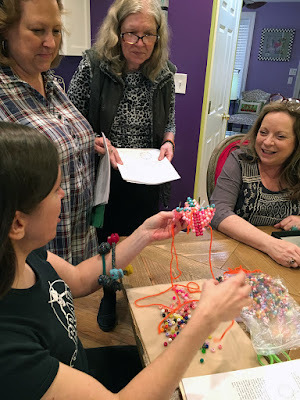 Two days at the beehive with friends and an incredible teacher and artist. Hope you will join us next time. P.S. We’re already talking about have Teresa back to teach again.